The InterContinental Hong Kong is one of Hong Kong’s most iconic hotels. Actually, I’d say it’s one of the best city hotels in the world in terms of the views it has. 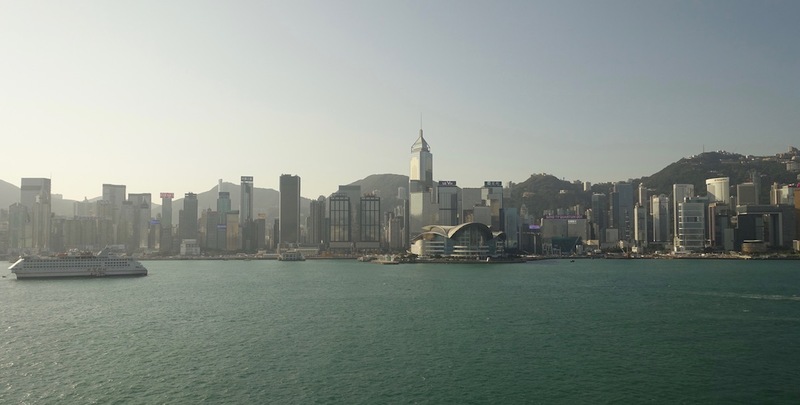 The hotel is located in Kowloon on the Avenue of Stars, so it has unrivaled views as far as Hong Kong goes. However, there’s no denying that the hotel is starting to be past its prime. While the hotel has undergone some minor renovations, they haven’t made any major changes, and I’d say at this point the hotel is barely competitive in Hong Kong’s luxury market. 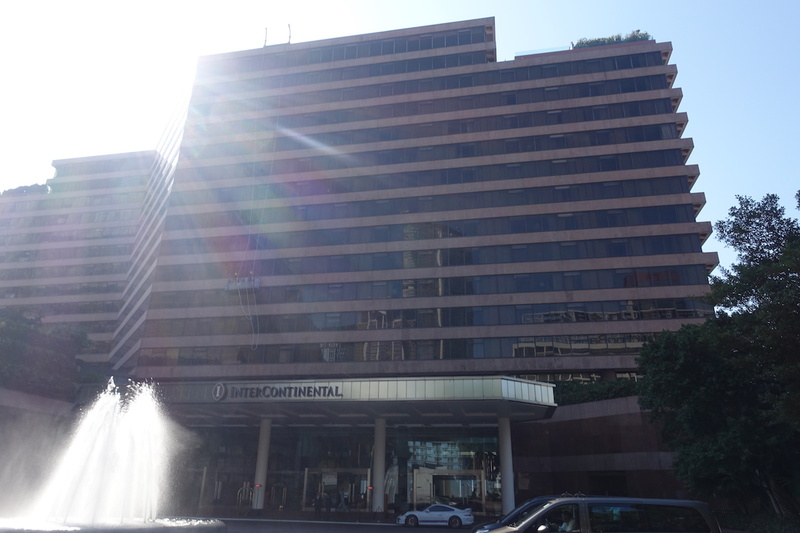 I reviewed the InterContinental last year, as I stayed here using the annual free night certificate offered with the IHG® Rewards Club Premier Credit Card. It was an exceptional use of that (given that the card only has a $89 annual fee), though I’m not sure I would have been as happy if paying cash. Every aspect of the hotel will be renovated, ranging from the guest rooms to the public areas to the restaurants to the hotel’s exterior. Kenneth Gaw, President and Managing Principal of Gaw Capital Partners and Managing Director of Pioneer Global Group, says, “InterContinental Hong Kong has always had a special place in the hearts of the local community here as the diamond in the ‘Pearl of the Orient’. We are thrilled and committed to return the property back to its glory days as one of the best hotels in the world. Following this exciting transformation, InterContinental Hong Kong will once again become a contemporary, iconic hotel for global travellers and will thrive as a world class destination.” Gaw Capital Partners led the acquisition of this hotel on behalf of a consortium of investors in 2015, including Pioneer Global Group. I’m curious to see what they do with the hotel. Given how much they paid for the property itself, it seems smart to invest some money renovating it so that the hotel can live up to its potential. My initial thought was that it seems like this hotel might be better off under a different brand. Maybe it’s just me, but I generally think of InterContinentals as being past their prime, and they have very few properties that I’d consider to be true luxury hotels. However, IHG does have a long term management contract for the hotel, so it’s unlikely that we’ll see it rebranded. On the plus side, this hotel has a lot of name recognition in Hong Kong, so even if InterContinental globally isn’t thought of as the most luxurious brand, many people do know the InterContinental Hong Kong. Hmmmm…was just about to book there again. (Stayed in 2015.) Would you recommend another hotel if it’s showing its wear and tear, Ben? Was thinking maybe the Conrad. Hint to the investment group. Change the flag. I stayed across the street at the Sheraton back last March and had a Towers room overlooking the harbor and the IC. There is A LOT of construction around that area, heavily impacting Avenue of Stars and the immediate access/egress around the IC. Actually surprised they aren’t shutting down for a renovation sooner considering all of that construction. Hotel ICON is a great alternative in Kowloon. I was there a little over a year ago on a free night cert too. I thought it was perfectly fine. The only problem I had was the construction noise next door. And the ridiculous prices in the restaurant. Great service though. Big room. Free loaner cellphone. also agree that the ICON is a good choice. I stayed there several years ago. It’s basically a teaching hotel. The staff are from the hospitality program of one of the local unis. Great service. Nice rooms. Free minibar. 4 Seasons Hong Kong (especially Executive Lounge level) tops all others for me. Ritz Carlton in the wrong part of town. Mandarin in the same part of town as 4S but not quite as good (for me at least). Yes to the ICON. Have stayed there a few times and cannot wait to go back! Luckily I believe Yan Toh Heen, the fabulous 2 Michelin Star restaurant near the lobby, is still going to be open. Greg above is right. Intercontinental is stunning especially in the Suites, but ICON is a great more contemporary option, innovative rooms, and a great club. Much more intimate feel than the Intercon – but then again those views can’t be beaten. I’ve stayed twice using Ambassador Weekend Cert in Jr suite at apex of harbor side with 270 degree view. Didn’t notice much wear and tear. The club intercontinental was very good. I’d hoped they had already closed for redo – to get it done. I’d like to go back someday! Still IHG is to be faulted for not recognizing status on cc free night. I spent a night there last month. It was great and my Spire ambassador brought free fruits, drinks coupon, meal coupon, two bottled water, ambassador gift of Yan Toh Heen tea leaves and free upgrade. It was nice but I preferred the Peninsula across the street. Can’t wait to eat the mooncakes again. Good luck to the staff during this ~1 year reno. Stayed here twice using my IHG free night and got AMB upgrades both times. Club lounge is off the chart good. Rooms with a view are truly spectacular.Not sure if there is a better hotel view anywhere in the world. Agree the construction around the hotel is more of a problem since its right next to the infinity pool and some rooms look directly at tarps and scaffolding. Ave of the stars takes some finding but is still worth seeing. Another fan of the ICON here. Stayed there my last couple of visits to HK and have been very pleased though the view isn’t as good as at the IC. I highly recommend the Island Shangrila on Hong Kong Island. Great rooms, views of the harbor and Victoria’s Peak. Great Executive Lounge with quality offerings and impeccable service! I stayed in Shangrila properties in Tokyo, Hong Kong, Singapore and Sentosa Island on my “Around the World in 90 days trip (www.Toscanoworld trip.blogspot.com) and was very impressed with the brand! I first went there when it was still The Regent, and have been coming back again and again with guests from out of town to have a drink in the magical lobby lounge, where there is no bad seat and all get the same fabulous view. Fingers crossed they don’t screw it up, but chances are they will – it’s a very, very clever space, as are the public spaces in general, managing to bring the views everywhere, including 5 different F&B venues. I can see some heavy-handed interior designer over-luxing it and killing the space in the process. It’s sorely needed before 2019. My last stay in May was an utter disappointment. The room was shabby and the Sunday brunch was beset by mainlander locusts and drunk ex-pat louts. They need to take the old girl upmarket asap. Stayed there over Labor Day 2017. Was upgraded to harborside room based on IHG card status. Huge room, huge bathroom, agreed, some wear and tear, although other aspects perfectly fine. The service, however, was absolutely impeccable. And I loved Yan Toh Heen. Upper house is another must stay in HK, so much more private! @deepeepdx they surely don’t need you there. Go stay where the local HK are then. You obviously must be prejudice based on calling people Mainlander locusts and drunk ex pats. Are you sure you are not a discriminatory person from HK?l or you have been brainwashed by the locals of HK? Only people from HK use that horrific and rude locust term. Your city depends on these people or HK will go to the pits. It is already showing that it is going that way compared to what it was just a few years ago. In fact, just never come back to this Hong Kong hotel or anywhere else if you are so racist and prejudice. The shangrila is also quiet nice as an option to stay at, their service is amazing and the rooms too, with great views, but not as good as intercontinental. But the last time I stayed there I loved it, it is very oriental and their restaurant also serves delicious food. The hotel is just right behind intercontinental, but make sure you book a room facing the harbour area as my friend’s room somehow ended up facing the building next door which was disappointing. For sure dating myself, as well as the hotel, but I was a guest weeks after the Intercontinental opened as the Regent Hong Kong in 1980, the flagship of this unique chain that was eventually gobbled up by Four Seasons, then reincarnated in many forms over the years. The Peninsula across the street, a much smaller hotel than today, with some 150+ rooms had been the hotel of choice on Kowloon for travelers. It’s lobby was hopping day and night, and rooms were scarce during the Canton Fair. When the Regent Hong Kong opened, with its spectacular views and luxe bathrooms, the hotel market was upended. The lobby was abuzz. I have not stayed at the hotel in decades, preferring the newer properties on both Kowloon and the Hong Kong side. When I entered the hotel, the years I lived In China, I felt a change, and not for the better with Intercontinental’s management. It had lost it’s uniqueness, the brand, the decor was dated, there was smugness at the front desk and the varying restaurants which I did frequent. Perhaps, a change will restore its grand place. When the Regent opened there was nothing like it in the world. Intercontinental brings back fond memories of my 1st trip to HK a loooooong time ago. I’m sure that I am in the minority here, but is the view from the hotel really that important? 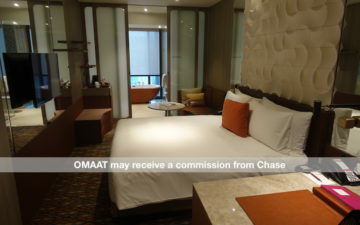 We were recently in HK and stayed at the Butterfly on Prat. Yes, really. The staff was amazing, both before arrival and when we got there, very helpful at all hours, loaner cell phone (though most of it is advertising, it does help a bit). Views aren’t anything to speak of, but the room is nice, it’s very quiet on the inside, and after all, you should be there to experience the city, not the hotel, right? It could be a touch more convenient to transit, but taxis are easy to use if you prefer that route. I stayed there a few years ago. Yes, the view is great, but man, are the rooms shabby. I was actually shocked by how run down their were. Ancient carpets, bathrooms, and hvac systems, everything smells of stale smoke and mold. Not my idea of a luxury hotel. While a renovation is sorely needed, I’m not sure how they will reconfigure the rooms. They are very large, but the ceiling heights are so low. I agree that the views from the InterCon in Hong Kong are some of the best views from a city hotel anywhere in the world. But the property was extremely tired and musty and renovation is a must for it to stay relevant. The Ritz Carlton is still my favorite spot. A corner room on the 117th floor overlooking the harbor is a tall order to beat. But I do appreciate it is fairly isolated. If I want to be more central (excuse the pun), I love the Four Seasons in Central or Upper House at Pacific Place. I have to say, we stayed there before Christmas and the service was breathtakingly good. Air France left our luggage in Paris and the hotel couldn’t have done more to help. I had booked through an offer on Hotels.com, so assumed there would be no reward Club privileges and the hotel did not have my membership details before arrival. When they asked if I was a member then found my number in their system, they instantly upgraded us to an incredible suite. Yes, the interior finishes may be a bit dated, but I saw no evidence of “mustiness”. I remember eating in the cafe when it was still called The Regent (I believe Four Seasons was managing it). Besides the stunning view I remember the blueberry pie that they made to order. I it would take 15 minutes to make. Divine! @Louis ditto – my partner refuses to call it anything but “The Regent”! Keeps telling everyone that we are “staying at the Regent in November”. Lived in HK throughout the 80s. We are actually really pleased that it’s not closing till 2019 as it lets us squeeze in one more trip before God knows what happens to the place! I stayed there recently. I was upgraded to a junior suite with partial harbor views. Nice room – lots of space. I was in HK over New Years Eve and watched the fireworks show from the hotel lobby. A nice alternative in Kowloon is The Kerry Hotel. I was there in November. It’s new, on the water, has nice grounds, and is walking distance to many local restaurants and shops. There are several restaurants on-site, and the breakfast buffet at Big Bay Cafe is the most extensive I’ve ever seen! My room was a Premier Seaview, and I had a nice high view of the bay and sunrises. It was my first visit to HK, and would go to Kerry, again.